With at least a draw required to move back up to 2nd in the northern group of the Professional Development League, our under-23s suffered a 3-2 defeat this afternoon at Ashton Gate against Bristol City. We took an early lead with a long range effort from Rob Harker (pictured) but it was 1-1 at half time. Jordan Cropper hit a penalty over the bar early in the second half but by the time the referee was pointing to the spot again in stoppage time we were 3-1 behind. Dan Agyei converted this one but it wasn’t enough and we suffered a fourth defeat in eight league games in 2019. Bristol City: Will Buse, Chris Turner-Williams, Joe Low, Harvey Smith, Barney Soady, Zac Smith, Ricardo Rees, Jayden Ali, Tom Richards, Marcus Day, Sam Bell (Tommy Conway 85). Subs not used: Callum Pearson, Lochlan Robertson, James Taylor, Jamie Taylor. 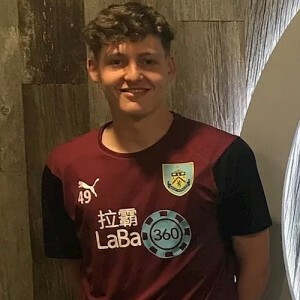 Burnley: Aidan Stone, Jordan Cropper, Bobby Thomas, Scott Wilson, Anthony Glennon, Tunde Bayode (Mitch George 56), Mark Howarth, Christian N’Guessan, Marley Blair, Rob Harker, Dan Agyei. Subs not used: Kai Calderbank-Park, James Clarke, Tinashe Chakwana, Will Harris.